– The Studio exhibitions work best as 10 days bookend with weekends. 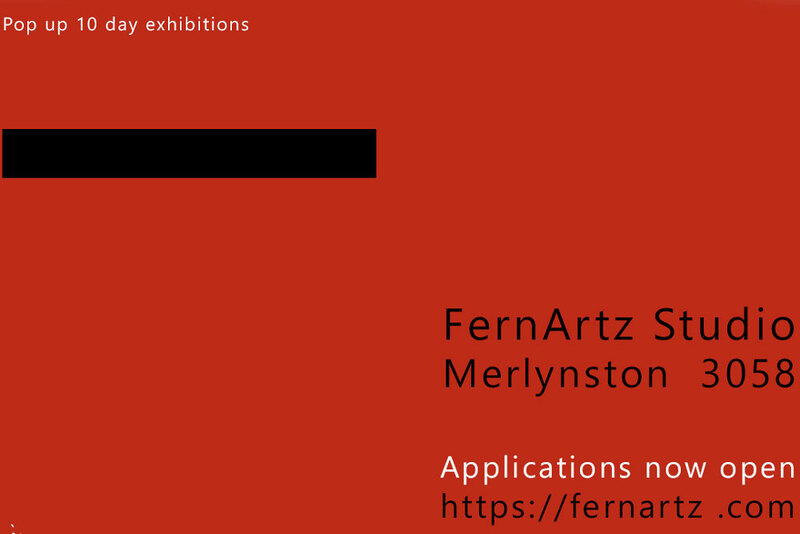 – Openings are usually on Sunday if you want a local Merlynston rollup. Fees: 20% sale of artworks during exhibition or negotiated fee if not selling your art. The exhibition includes my time, at the opening basic refreshments (variety of non-alcoholic drinks, two food platters, glasses plates etc), print web card jpeg – for your promotion to your networks, post on website, and my social media, send press release, post on Moreland what’s on calendar. Free Two-week window display if not clashing with pop up exhibition pending approval. If you haven’t heard within two weeks, please leave a text message on my mobile and include your name and purpose.